Sale Business and Tourism Association (Inc.) (S.B.T.A.) has introduced the newest and most exciting development in on-line shopping for years; the Shop in Sale E-voucher! The Shop in Sale E-voucher replaces the old paper vouchers you used to buy. 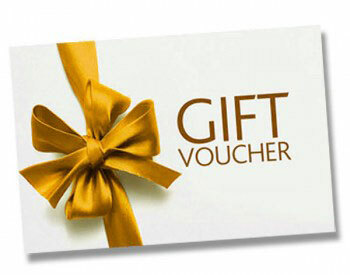 Now there’s a quicker, easier, and more convenient way to purchase a gift voucher for that special person (or persons) for any occasion; Christmas giving, Easter, Mother’s and Father’s Day, birthday, anniversary, achievement acknowledgement, incentive, bonus, or just to show your appreciation. It’s that easy! Your vouchers are now ready to print – instantly and in the comfort of your own home. 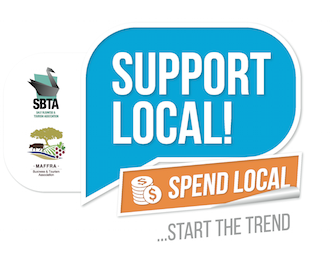 You can purchase vouchers at any time, 24/7, and vouchers may be redeemed at a large number of local businesses in Sale. That’s the beauty of the Shop in Sale E-voucher. The person receiving the voucher is not restricted to redeeming their voucher at any one or particular store. Your gift can be redeemed at so many different types of businesses in Sale; providing the recipient with flexibility and choice of purchasing what they want; what they need. Members of S.B.T.A. (Inc.) are working hard to ensure Sale grows and prospers well into the future. They understand that spending your money in Sale benefits all of us who live here. Spending locally helps to secure jobs, which adds to the diversity of businesses operating in Sale, which in turn contributes to the overall economic health and liveability of our city. S.B.T.A. (Inc.) is proud to be the first Business and Tourism Association in Victoria to bring you this new and innovative concept. So purchase a Shop in Sale E-voucher today. Your gift will make someone happy; and you’ll feel good too.